B&R Industrial Automation is a leading manufacturer of electronic control equipment, specifically designed for the Automation Industry. Our state of the art highly competitive electronic system products are being used by a growing list of well known leading international companies across all industries. Our integrated package of products, technologies and support services are designed to improve the flexibility and productivity of the manufacturing process. 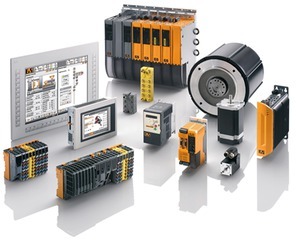 B&R recognized long ago that the market is not only searching for components such as PLC controllers, visualization devices (HMI) industrial PC’s and servo drive systems, but also desires a single integral software tool that provides an efficient integration of these products. This "single software tool for all products" approach provides enormous savings potential, which is recognized by leading machine manufacturers today as an important competitive edge. We recognize that it is difficult for many machine builders to keep up with, and make the best use of all the advances in our technology. Our strength in applications engineering support can be offered to provide our partner complete software engineering support - from project concept through to working application. The benefits are obvious - successful projects in record time and within budget!